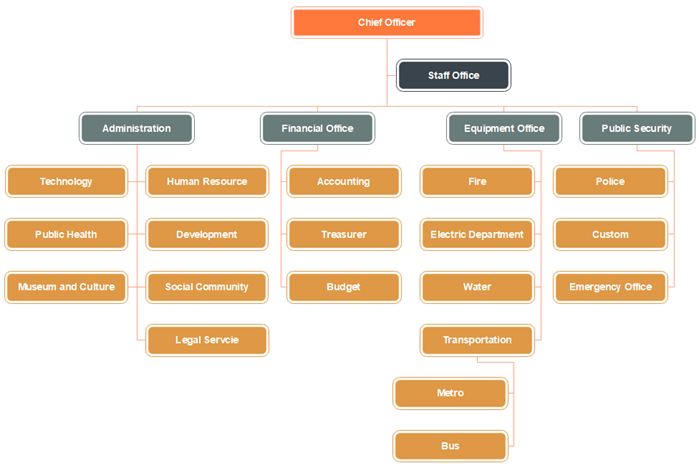 This chart, as one of the organizational chart templates for public sectors, displays some important city public facilities divisions. You can find the sections for the Public Health, Museum, and Culture, Water, Fire, Transportation, Public Security Offices and so on. Organizational chart templates for student communities are also easy to create such as the one below. You can input specific hire date for every member for this template then you can get individual tenure automatically. Furthermore, as a student group, if you wanna try more cool and colorful themes, just using the built-in theme tools. 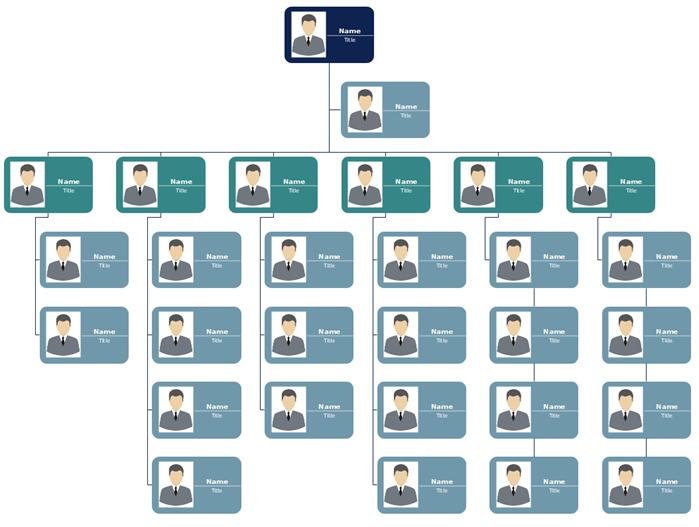 You can also customize organizational chart templates for large-scale educational groups. 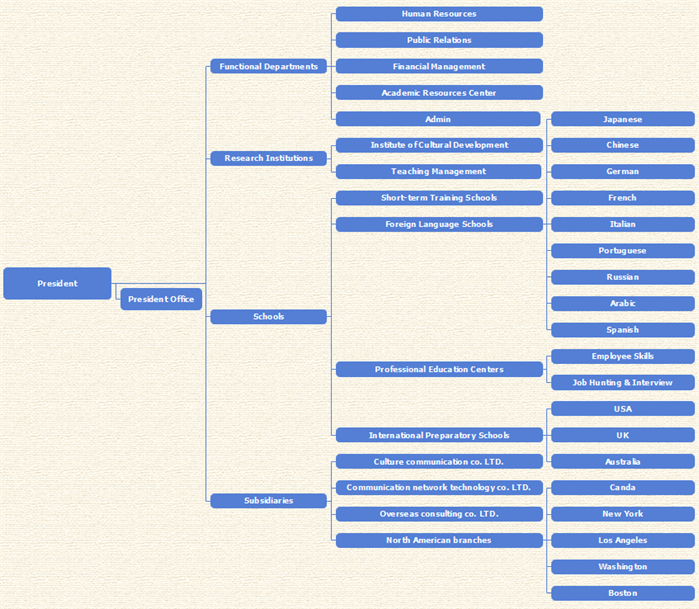 The org chart here shows you a list of research institutions, schools, and subsidiaries in worldwide locations. Sometimes staff photos would let readers quickly refer to the specific person they are looking for, for example, at the management level of an international enterprise. So how to add them? As the template below, you can simply move a sample photo at the left, top or right position of an employee box. 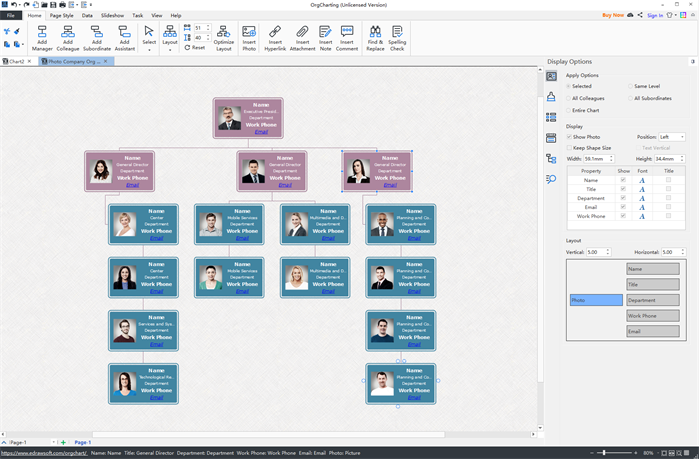 Moreover, you can choose to insert more info in organizational chart templates like contact details. 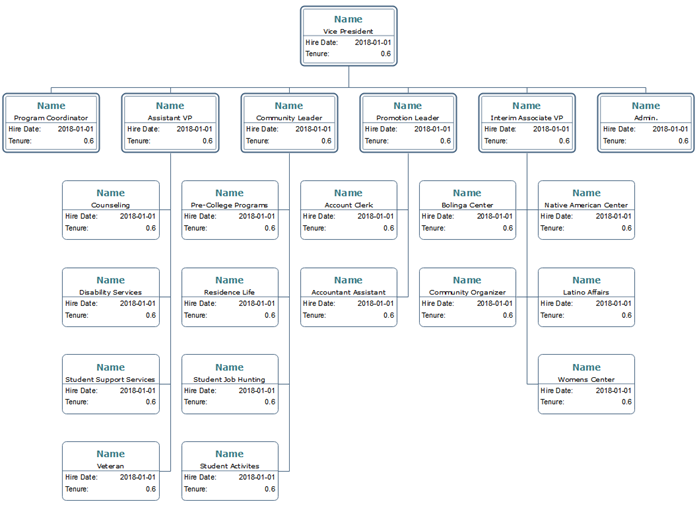 This easy org chart creator would bring you much more resources and convenient functions.